 Center for Inquiry Austin is a secular community dedicated to fostering science, reason, freedom of inquiry, and humanist values in our society. 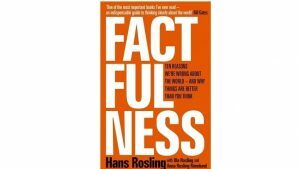 We hold regular events to socialize, build friendships, and learn. Join us as we celebrate life based on a secular world view. Food For Thought: Is “Intelligent Design” an explanation for evolution? 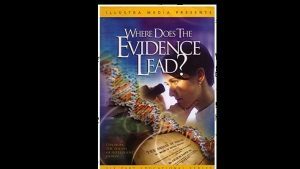 We will watch clips from a slick creationist video in which an attempt is made to show how evolution by natural selection is wrong, and that there is a need for an Intelligent Designer to make things come out right. After various sequences we will take time to analyze the arguments. Discussion: What is an “American,” and how has our concept of being one changed? Are you a member of the Nacirema tribe of North America? Let's talk about it. The secular community will dine together. Add a comment to let us know what you will bring. Choose among: entree; side dish; dessert; beverage; appetizers. Starting around 7:30 pm there will be a trivia contest featuring questions about science, free thought, and politics. There will be an emphasis on women scientists as well as various social studies areas. 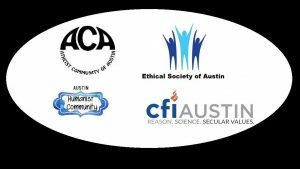 Interesting speakers and discussions at CFI-Austin!